Pizzeria STROMBOLI is located in Altea’s old part of the town, at the top of the steps going up to the Church Square. From the Church Square you can enjoy beautiful views over the Altea Bay, the Sierra Helada mountain, the Benidorm skyline and the Rock of Ifach in the background. Enjoy with the views. Felix started in the restaurant business in 1990. 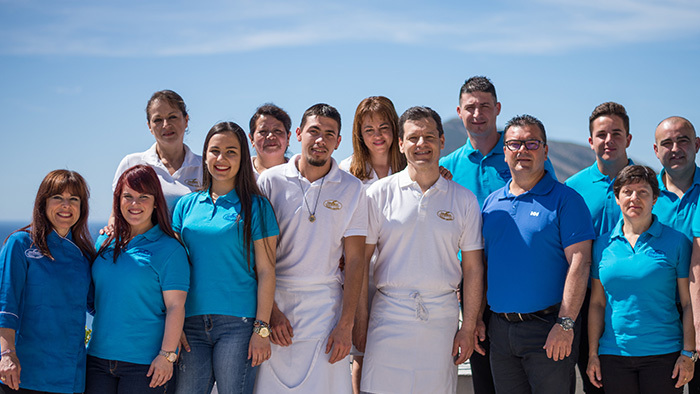 His brother Tomás joined him six years later and they decided to open a new pizzeria with a family atmosphere and a delicious cuisine, which is today the Pizzeria STROMBOLI. With an excellent value for money, you can enjoy a varied menu including not only fantastic pizzas but a selection of savoury crepes, fish & meat dishes and pastas.... And why not try one of our specialities: the Bolognese Aubergine or the Fried Camembert and the absolute must, the mouthwatering chocolate cake, Lava Stromboli! Don’t forget to accompany our delightful dishes with your choice of wine from our extensive wine cellar. Enjoy the evening. We hope you enjoy our dishes between white houses and flowers. Altea, a maze of narrow cobbled streets, leading down to the sea, stairways and balconies await your visit. Check our Wine List.